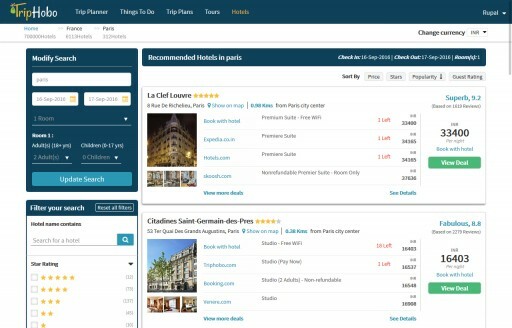 TripHobo is a chic entrant into the world of hotel metasearch where users, while customizing their trip plans, can explore and compare hotels without browsing multiple websites. TripHobo, World’s largest repository of user generated itineraries, is known for its innovative methods to ease out the task of planning DIY trips. Adding to the dynamicity of its world leading trip planning platform, TripHobo is now going live with its much awaited Meta Search for hotels which paves way for wider options for the users to choose from. Earlier, TripHobo only provided inventory from Booking.com in its much celebrated Trip Planner. Now TripHobo will be showing inventory from all the leading brands of the world in the Trip Planner. Offering this feature for more than 80,000 destinations across the world, one can find the perfect hotel for their trip. What sets this Meta Search apart from the other similar ones available online is its integration with the trip planner. While majority travel websites already offer a Meta Search for hotels, what they lack is integration of various other trip planning elements like sightseeing, tours, transportation and restaurant. Some offer reviews, some offer trip planning templates and some simply offer the Meta search. TripHobo covers it all and makes way for a hassle-free trip planning experience for the users. Users don’t need to plan a trip on one website and book hotel on another, they can simply book and plan within few clicks. Through this Meta Search, the users can browse, explore and choose the same hotel room on different booking websites without having to actually go through different websites. Users can choose, compare and book the hotel of their choice at the best price available online and add it to their trip plan. This Meta Search functionality is of great help for anyone who is planning their trip from scratch or simply wants to book a hotel. 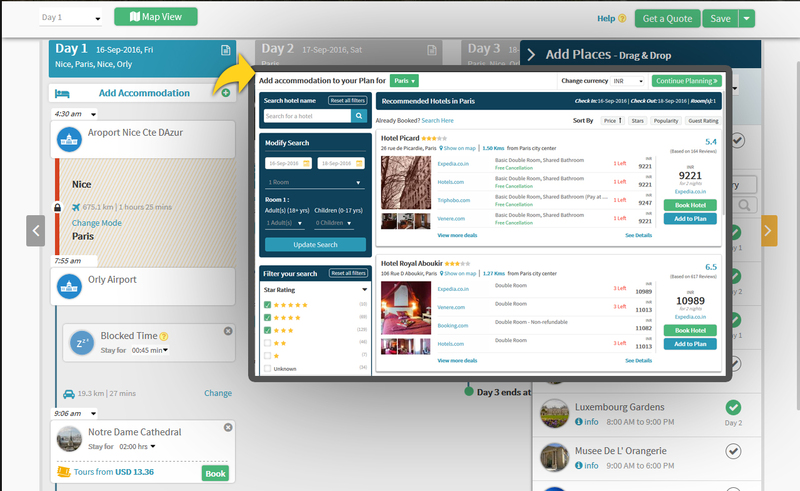 With multiple filters like star rating, property type, hotel features, popularity and reviews, narrowing the perfect hotel will become easy and fun! Moreover, the price comparison from prime hotel booking websites on the web assures that you get the room of your choice at the cheapest price. The Meta Search is available with the website’s desktop version and will soon be available on its mobile version. TripHobo aims to become the pioneer in Dynamic Travel Packaging Solutions and this feature will certainly be a stepping stone. About TripHobo: With an average of one trip created every 2 minutes, TripHobo is one of the most preferred trip planning platforms on web and has a repository of 600,000+ itineraries generated by users all across the world.